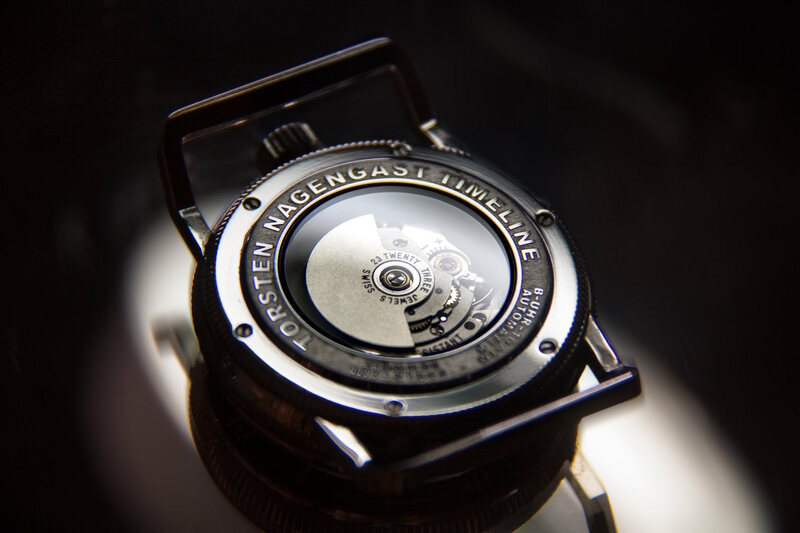 Product information "Challenger ONE - Automatic Movement"
TNT always has a different point of view to watches. The best proof for this statement is his interpretation of a Flieger watch. Easy to read, easy to navigate with, comfortable to wear. The unusual placement of the crown at 12 position allows the highest wearing comfort. 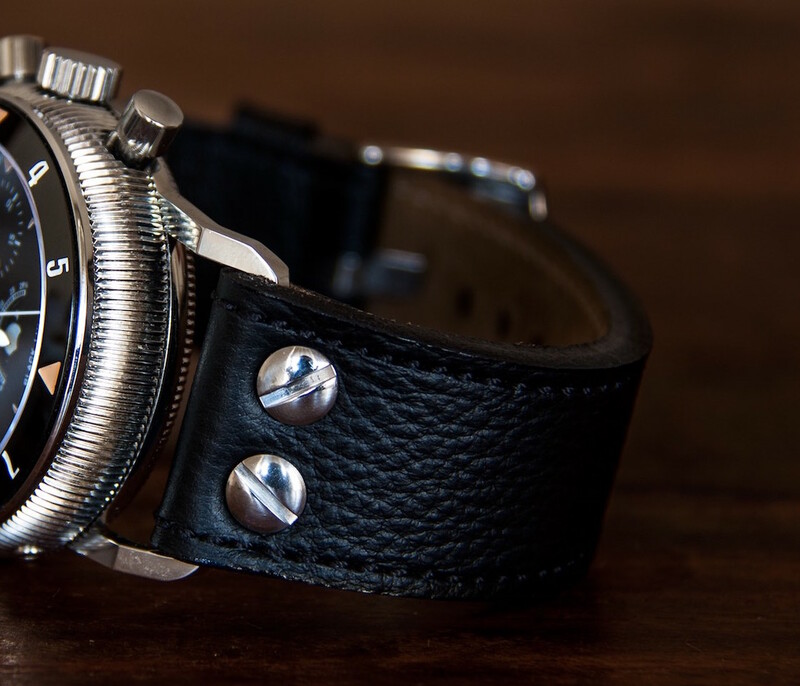 Fixed lugs and the coinedge casebody give the watch a good old days feeling, combined with modern state of the art technology of the 21st century watchmaking. 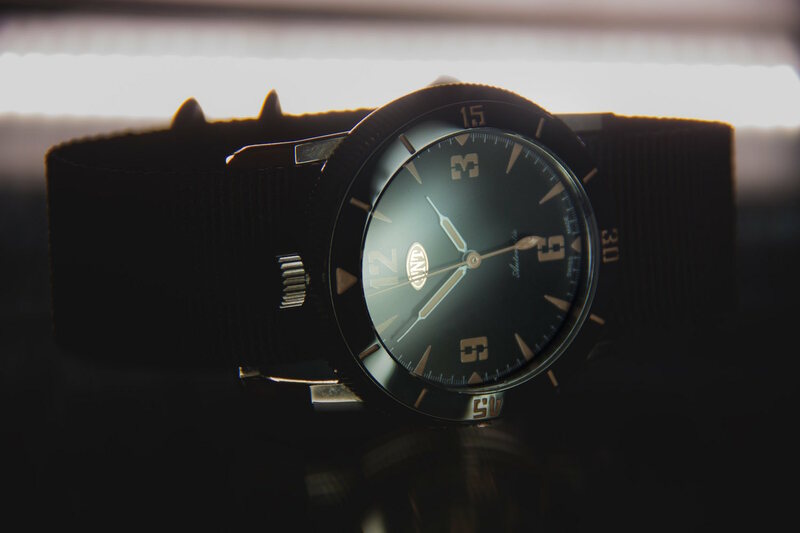 The swiss made ETA 2842 mechanism is out of the ETA 2824 product family which are used in the most swiss automatic watches. 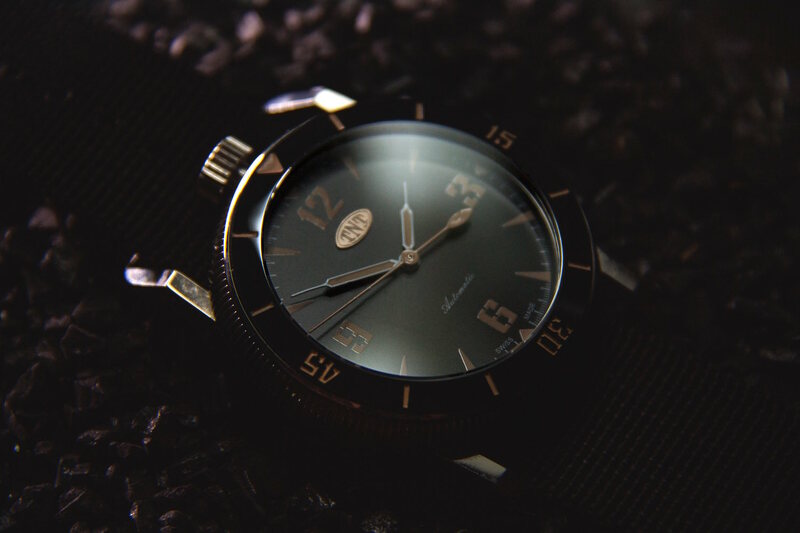 The Dial is black matt with soft brown luminova figures. 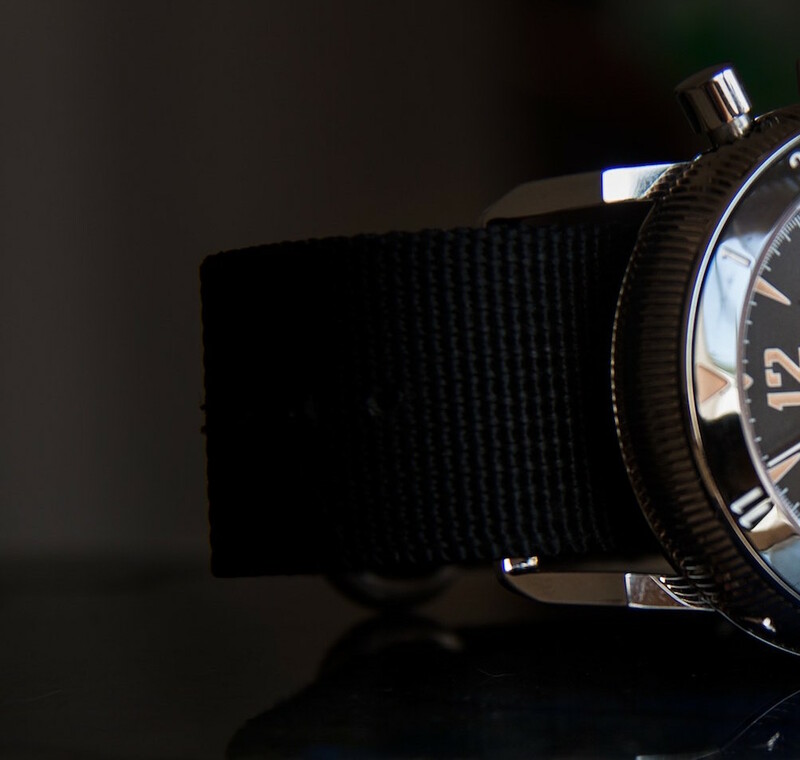 A time instrument in modern design, sylish and good readable dial. In this line we produce sportive and functional timepieces as well as limited Editions, the watches are manufactured in highest quality. Technical details "Challenger ONE - Automatic Movement"
Within the Challenger serie you can find 3 Models, all of them exclusive and limited. 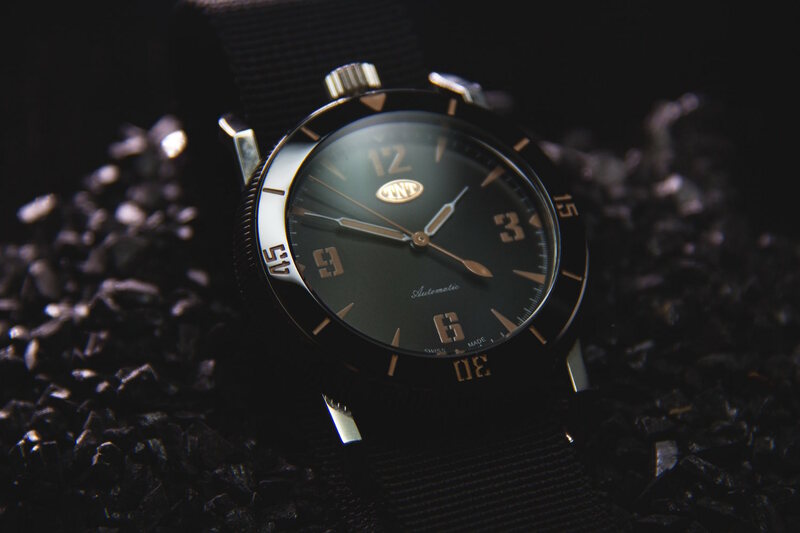 All models are featured with transparent case back to show the mechanism. The bezel is crafted from high quality ultrahard ceramic. Inside the Challenger ONE is a swiss ETA 2842 automatic movement working. The tranparent case back shows the mechanism. Deep engravings on the backside show all needed informations. Easy to read, easy to navigate with, comfortable to wear. The unusual placement of the crown at 12 position allows the highest wearing comfort. 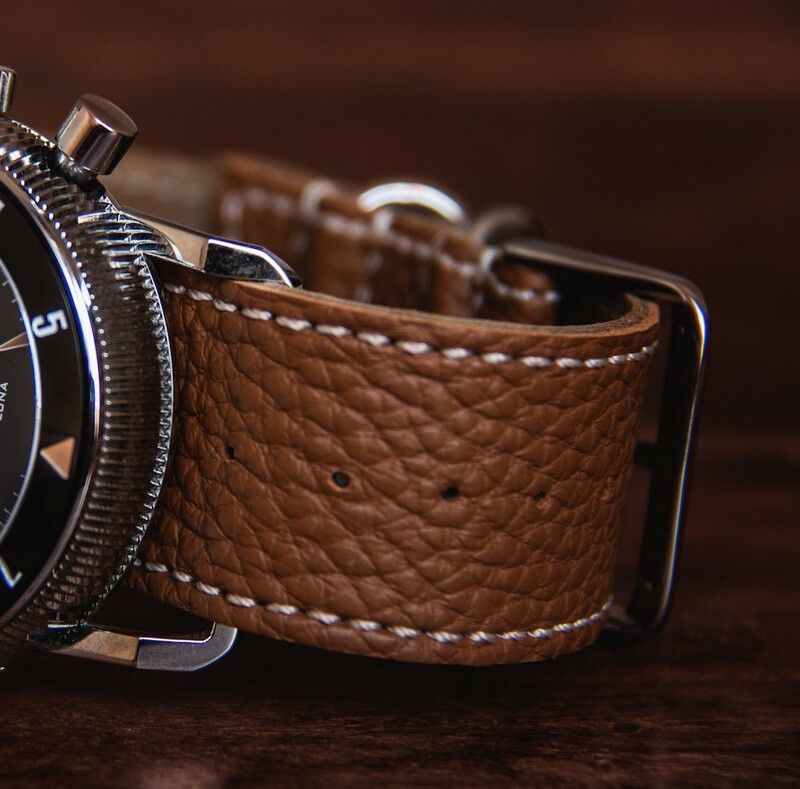 Fixed lugs and the coinedge casebody give the watch a good old days feeling, combined with modern state of the art technology of the 21st century watchmaking. 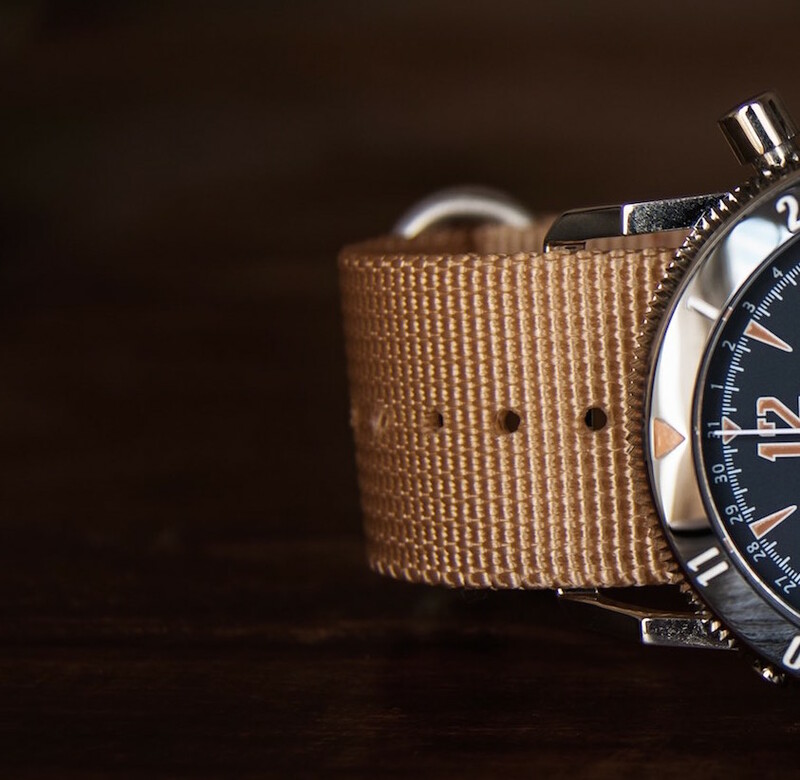 The watch comes with the 24mm PVC NATO strap and can be ordered in 2 colors, brown and black. The leather straps from LUNA and RATTRAPANTE Models are also fitting to the Challenger ONE and can be odered optinal here in our shop. 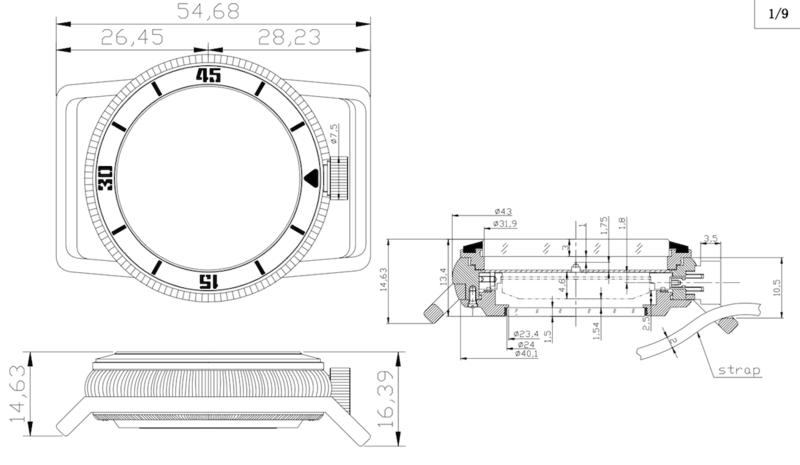 Customer evaluation for "Challenger ONE - Automatic Movement"